The first half of the 20th century was dominated by the "European Civil War" of 1914-45, which left the continent broken and exhausted. The second half of the century was characterised by the "Cold War" between the two superpowers who emerged from the wreckage: the USSR and the USA. Neither side directly declared war on the other at any point during this period, but there were violent "hot spots" in places like Berlin, Korea, Cuba and Vietnam which meant that World War Three was seen by many as an inevitability. Paradoxically, the "Cold War" was perhaps even more "total" a conflict than the World Wars which preceded it; earlier conflicts were intense, but clearly defined chronologically and geographically. The Cold War, though, had no clear parameters: it was a clash of ideologies as much as nations, with no clear beginning or end, with a whole generation growing up with the grim expectation that their world would end in a nuclear holocaust. 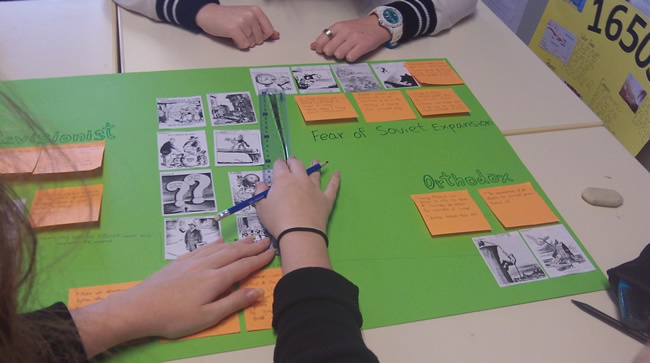 Students start the topic with an introduction to what the Cold War was, and then they conduct their own research to produce an illustrated timeline of the main events. A collection of primary and secondary sources, along with questions, designed to be used as extension and homework materials. Video Worksheet for Episode 1 of the CNN "Cold War" Series (covering the period 1917-44). Students use this worksheet whilst watching the first 30 minutes of the Episode 1 of the CNN "Cold War" series (available on DVD) prior to a factual test. They are encouraged to consider such questions as "Who was responsible?" and "When did the Cold War become inevitable?". The shaded cells do not need to be completed as at these points there is no evidence on this side of the argument. This 25-question factual test is structured as a 'fill the gaps' activity so that when completed, students will have a useful revision aid. 1: Was the Nazi-Soviet Pact proof that the West were right to distrust Stalin all along, or was it the direct and unfortunate result of that distrust? 2: Based on Question 1, who was therefore more to blame for the failure to contain Hitler in the 1930s? The class is then divided into two groups. Group 1 (USSR) should produce a press statement entitled "Why the USSR has been forced to sign the Nazi-Soviet Pact". This should consist of two paragraphs: Paragraph  should begin "The USSR has made many attempts to extend the hand of friendship to the West..." and Paragraph  should begin "Unfortunately the West has not acted with the same degree of honour...". Group 2 (Britain) should produce a press statement entitled "Why the USSR treacherously chose to sign the Nazi-Soviet Pact". This should consist of two paragraphs: Paragraph  should begin "The West has made many attempts to extend the hand of friendship to the USSR..." and Paragraph  should begin "Unfortunately the USSR has not acted with the same degree of honour...". Students conduct independent research on eight key wartime events, focusing specifically on how each one raised tensions, and between whom. There are links to appropriate video clips which can be used by the students as part of their research, or watched together as a class. From your completed studies, choose FIVE pre-war events, and FIVE wartime events, to complete this ‘living graph’. A suggestion about the Russian Revolution has been added to give students an idea about how to approach this. To ensure that students are sufficiently prepared for any Cold War question that comes up, we spend time writing up a carefully considered answer to the key question. Students will write this answer as a timed essay in the following lesson. There is a completed model essay that can be used to help students develop their essay-writing skills. Pairs of students will be asked to research TWO of the events listed in the "Wartime Differences" rows, answering two questions: (a) "What was it?" (b) "In what ways did it increase tensions?". Note: each student in the pairing should research both events, independently. After an appropriate amount of research time, the pairs should discuss their findings with each other to ensure that there are no disagreements or omissions. These findings can be shared with the class. Finally, each student should write up their paragraph on "wartime differences" using the classroom feedback to help them. "Due to the fact that we are trying to explain why an established event happened, there is a danger of confirmation bias. In other words, because we are only gathering evidence to explain why it happened, there is a danger that we end up thinking that the event was inevitable. Therefore, we will spend some time considering what evidence a historian might use at mitigating evidence to persuade us that the Cold War was not inevitable (or, even more strongly, that it was unlikely) by the start of 1945". A useful starter clip to set the scene. The class is divided into three teams, each representing the press officer for one of the Big Three. a. Using your own knowledge and other research, provide THREE key points suggesting your man will work well with the others. Write these into the left hand column. b. Then provide THREE key point against each of the other two. Place these in the right hand column. c. Debate as a class and then take a vote on which character is MOST likely to create DISCORD at the conference. 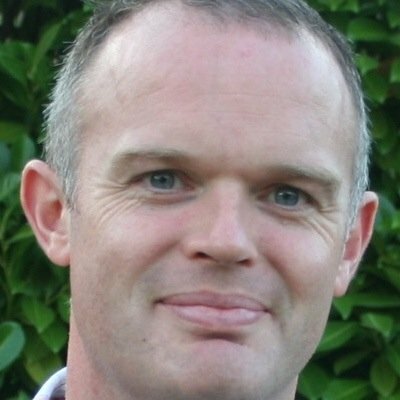 An extension task with a Theory of Knowledge focus is provided which requires students to reflect carefully on the values and limitations of photographs as historical source material. The Yalta Conference: Interactive Computer Simulation! 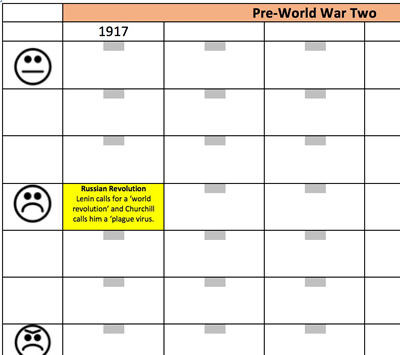 An artificial intelligence simulation, complete with a worksheet: students choose whether to play as Churchill, Roosevelt or Stalin, and then pit their wits against their opponents to achieve their objectives. This computer lesson runs itself and is a great way of learning about the personalities, issues and results of the Yalta Conference. The Yalta Conference: What was actually decided? Students are provided with detailed factual information about what was actually decided at Yalta, and then they use this to form a judgement about how far each of the Big Three would have been happy with these outcomes based on what they now know about their initial objectives. Through a focus on primary source analysis, students investigate how far Truman's bellicosity towards the Soviet Union was apparent from the outset, or was merely a position he adopted once he was in possession of the atomic bomb. The Potsdam Conference: When and why did the US policy move from one of co-operation to confrontation? Students consider the extent to which the Potsdam conference was characterised more by conflict that by co-operation. Churchill's Iron Curtain Speech: Did it create, accelerate or merely acknowledge the onset of the Cold War? In March 1946, Churchill gave a famous speech before President Truman at Fulton, Missouri. By this time there were communist governments in Poland, Albania, Bulgaria, Hungary and Romania. He used the phrase "Iron Curtain" to describe the European border between the Democracies of the West and the Communist-controlled countries of the East. He accused the USSR of being an aggressive dictatorship and called for an alliance between Britain and the USA to keep it under control. As an extension activity, students consider the role played by the Kennan Telegram in the onset of the Cold War, and analyse cartoons about the Iron Curtain speech from both a Soviet and a Western perspective. Stalin's Salami Tactics: How and why did Stalin take control of the countries of Eastern Europe? By 1948, the Soviet Union had established communist regimes in all of the territories that they had "liberated" during World War Two. The Hungarian Communist Rakosi described this process as "Salami Tactics" because Stalin sliced away opposition bit by bit. Visual Essay-Writing Task: What was the fundamental aim of the Marshall Plan? The reaction of the USA to Stalin's policy in Eastern Europe was the Truman Doctrine and the Marshall Plan. In this activity students will work collaboratively to make deductions from a series of cartoons, video clips and textbook sources. For more on this method, consult my blogpost at Tarr's Toolbox. A 25-question factual test to consolidate knowledge of the topic so far. Students are presented with a series of "newsfeeds" about the Berlin Blockade, which they use to complete this worksheet, and then answer a series of questions. This can be used as a follow-up from the previous exercise or (if pushed for time) an alternative. Students are presented with a series of information feeds, each one of which contains an error. Students get points for their teams if they identify the error correctly. 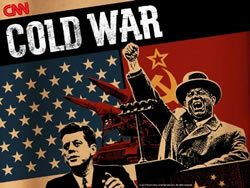 Analyse the roots of the Cold War before 1945 (note: teacher password required). To what extent were conflicting views about Germany the main cause of the Cold War up to 1949? (note: teacher password required). In what ways, and with what results, was Germany a source of Cold War tensions between 1945 and 1962? (note: teacher password required). 1. What are the functions and membership of the UN? This worksheet encouarges students to compare the functions and membership, strengths and weaknesses of the UN with the League of Nations. Analyse a series of cartoons by hovering over details and answering exam-style questions. When you have finished, the computer will provide you with a printout comparing your answer to a model answer. A great way to revise and develop sourcework skills. There is also The Cold War to 1949: Interactive Seminar: go through the "slides" at your own pace. 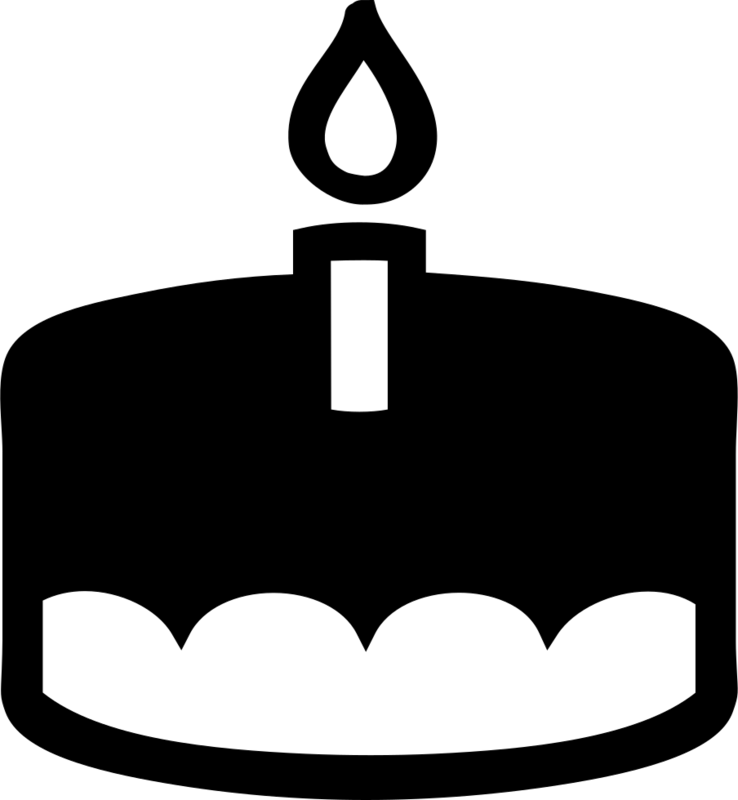 Complete with activities, links and questions. "Read through the following essay titles. Identify (e.g. 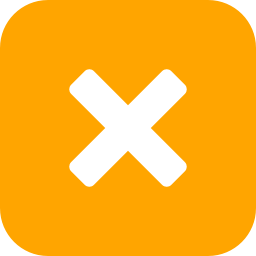 by highlighting / dragging-dropping) common themes. These questions will be shared between the class. Produce an essay plan in 10 minutes for your allocated essay. Then feed back to the class with your thoughts and findings. In a lesson next week, one question from this list will be chosen at random and you will produce an essay on it in timed conditions." "How would each school of historians assess the respective role of military, economic and political factors in causing the Cold War? How would you complete the final columns?"